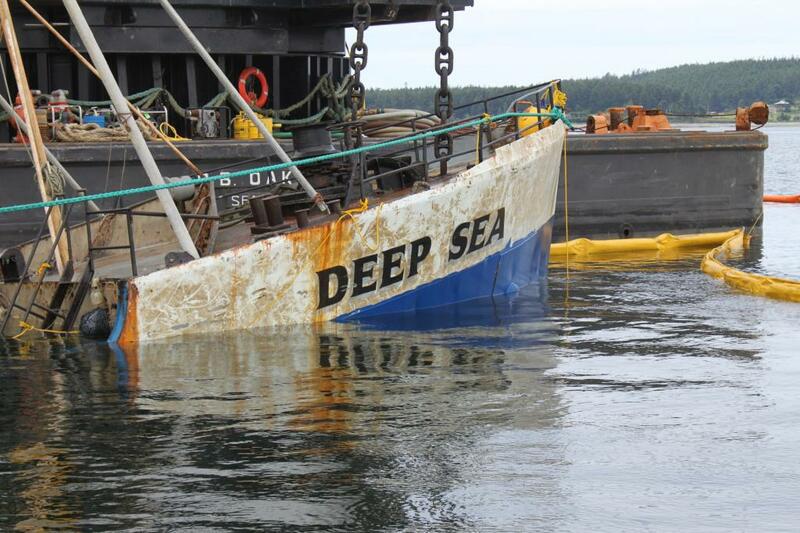 F/V Deep Sea Removed from Penn Cove - Global Diving & Salvage, Inc. 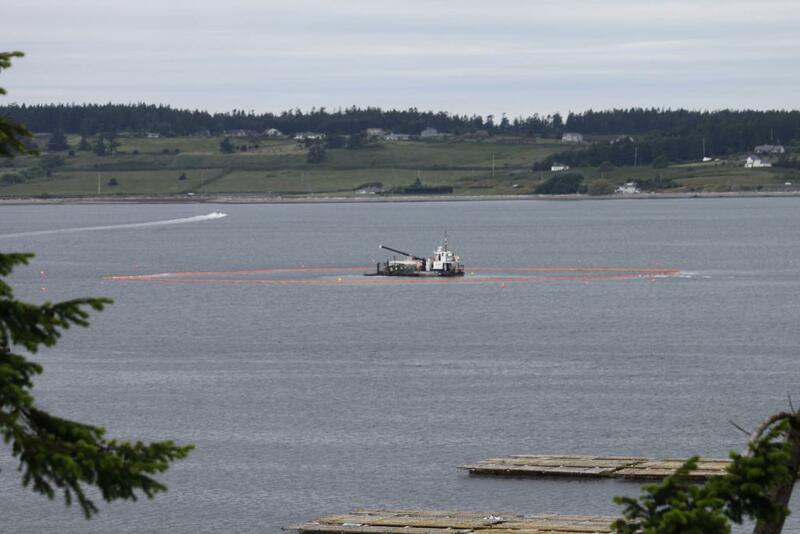 The 140-foot fishing vessel Deep Sea was moored illegally off of Whidbey Island in Penn Cove, Washington, a world-renowned oyster and mussel rearing area. 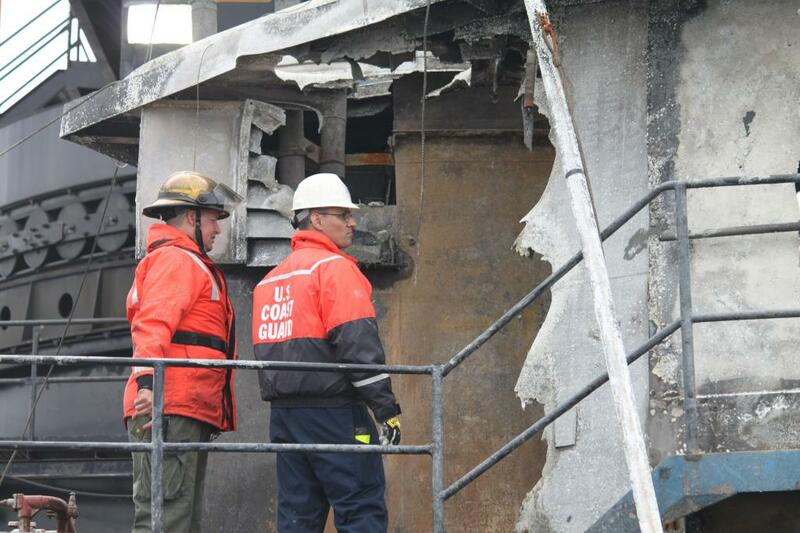 On May 12, 2012 it caught fire and sank. At the time of sinking it was unknown how much fuel was on board; estimates ranged from 100 to 5,000 gallons, with a known capacity of 30,000 gallons. 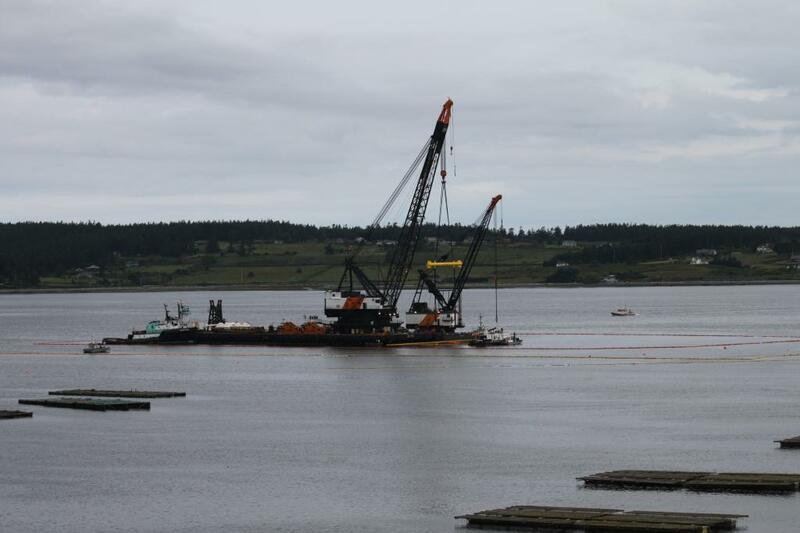 Divers responded to plug the vessel’s vents and take steps to prevent the oil from entering the environment and contaminating the 2 million pounds of mussels, clams, and oysters raised in the cove. 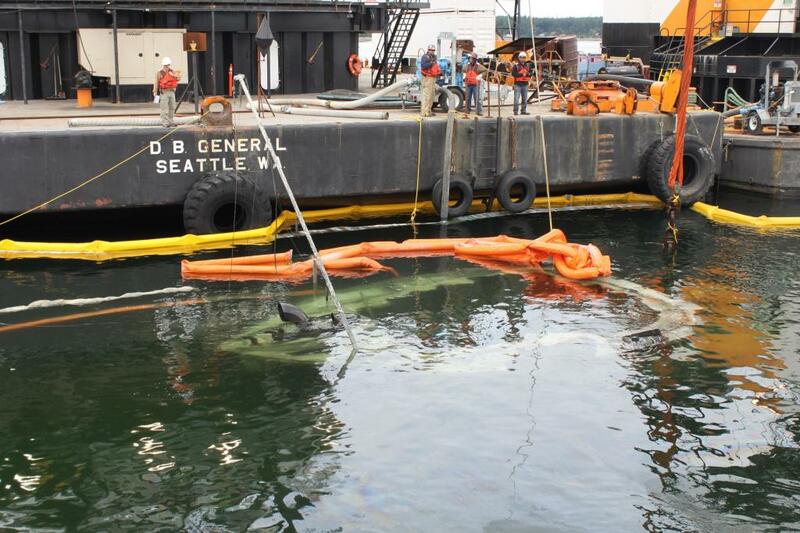 Containment boom was deployed and the leaking oil was contained. The Department of Ecology and the Coast Guard agreed the wreck must be removed from the shellfish habitat. Global was contracted to perform the removal operation. The Deep Sea was refloated with the assistance of two derrick barges, the D/B General and D/B Oakland. Divers connected lifting chains to the derrick barges’ rigging. The vessel was righted from its previous 45-degree port list to approximately 5 degrees. Once the vessel was raised off the bottom, divers used high-pressure water jets to flush the accumulated mud from the vessel decks. The Deep Sea was then lifted to the surface, and environmental crews installed pumps in the holds and engine room to pump water from the interior. Divers inspected the outside of the hull for damage and leaks. 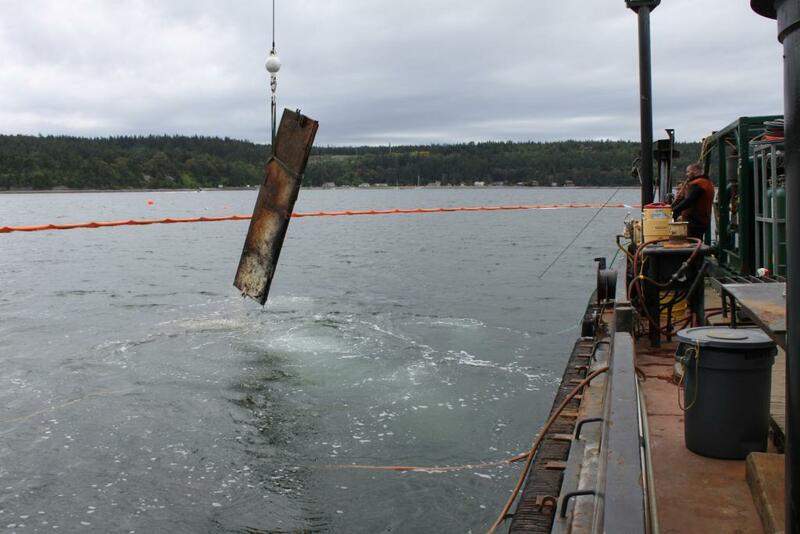 Once the vessel was cleared for moving, it was prepared for dead ship tow to Seattle where it was placed in dry dock, cut up and the materials were recycled or disposed of properly.